The National Institute on Aging (NIA) at NIH is pleased to announce two new additions to its Alzheimer’s Disease Centers Program—a network of researchers and clinicians developing and sharing new approaches and findings to speed discovery in dementia research. 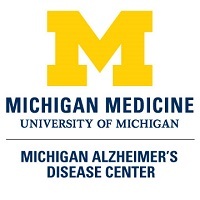 The Michigan Alzheimer’s Disease Core Center (ADCC) in Ann Arbor, Michigan and Wake Forest ADCC in Winston Salem, North Carolina—each to receive an estimated $9 million over the next five years—will boost the NIH-funded research network to 31 centers nationwide. The Michigan ADCC, led by Henry Paulson, M.D., Ph.D., links three major research universities, encompassing researchers and clinicians from the University of Michigan, Michigan State University, and Wayne State University. The Wake Forest ADCC, led by Suzanne Craft, Ph.D., at Wake Forest Baptist Medical Center, will serve the southeastern U.S. Teams of researchers and clinicians at both centers will assess people with memory problems or complaints, as well as those without. They will also recruit volunteers for clinical trials, provide training to scientists and health care professionals, and educate local communities about dementia. Each center will also advance understanding of these complex disorders from different scientific perspectives. Scientists at Michigan will study non-amyloid factors contributing to Alzheimer’s and investigate links between dementia and other illnesses such as cerebrovascular disease, diabetes, metabolic disorders, and depression. Researchers at Wake Forest will focus on the role played by vascular and metabolic disorders in the onset and progression of Alzheimer’s, with a particular interest in how diabetes, peripheral vascular disease, and other common disorders affect the transitions from normal aging to mild cognitive impairment and then to Alzheimer’s and related dementias. ← Is it Alzheimer’s or Another Type of Dementia?